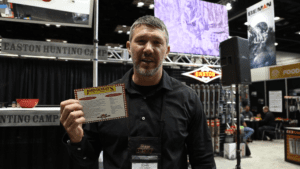 In the archery world, F.O.C. stands for “front-of-center.” FOC describes the percentage of the arrow’s total weight that is located in the front half of the arrow. The more weight that is located in the front half of the arrow, the more forward is the arrow’s center-of-balance. The F.O.C. balance position of the arrow is one of the more important elements affecting the shape of the arrow’s trajectory curve. Ideal F.O.C is especially critical for target shooters participating in long-range shooting competitions operating under the Olympic Style rules, such as FITA Archery events. While F.O.C is less relevant in some bowhunting situations (short-range shots), it can be critical in others (long-range shots, when shooting low-poundage bows and fixing trajectory issues at the range). 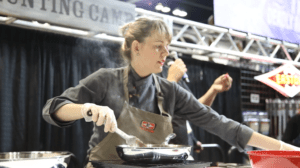 It’s generally accepted among archery experts that a high F.O.C. will fly with good stability, but will shed its trajectory quicker and nose-dive. An arrow with low F.O.C. will hold its trajectory better, but can fly erratically. 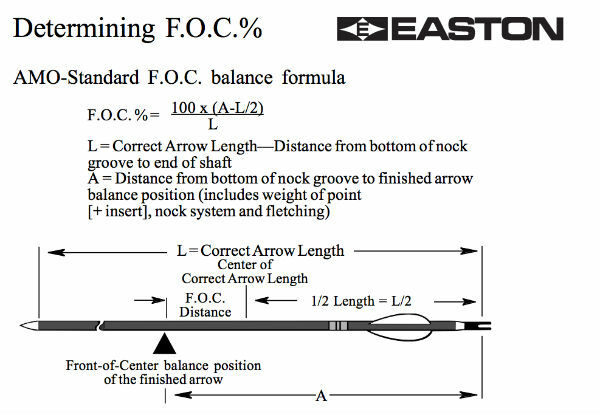 Easton recommends an arrow with 10-15% F.O.C. 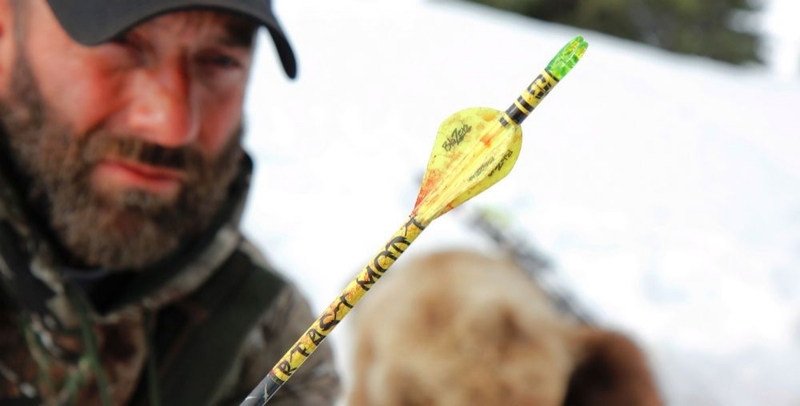 for hunting setups and optimal accuracy – especially at long distances. Divide the arrow’s overall length (distance to the bottom of nock groove to end of shaft by 2). Find the balance point. This is where the arrow balances perfectly. Mark the point, and measure from the throat of the nock. Subtract center of the arrow measurement (calculated in step 1) from the balance point (calculated in step 2). Multiply the resulting number in Step 3 by 100. Divide the resulting number from Step 4 by the arrow’s overall length. This number is the F.O.C. of your hunting arrow. If you find your hunting arrow’s F.O.C. to be exceptionally deviant from the recommended range of 10-15%, consider adding/removing weight to/from the front or rear of the arrow. Adding weight to either the front or the rear of the shaft can modify the balance of an arrow. Heavier vanes, for example, increase the weight of the rear portion of the arrow (decreases the F.O.C.). Replacing vanes with feathers lightens the rear of the arrow. Heavier points, inserts, and even added weights are used to modify the weight of the front of the arrow (increases the F.O.C). F.O.C. is one of many variables to be considered when tuning arrow flight. If you need a complete bow-tuning guide, download your free copy of Easton Archery’s Arrow Tuning and Maintenance Guide.